Time for Back to School - Make the difference for your kiddos this year! I am so excited to be reaching out to you! The support you are providing your kiddos is remarkable. Over the last few months, I’ve been excited and encouraged to hear about all that is going on with our students with Rett Syndrome and others with complex needs. 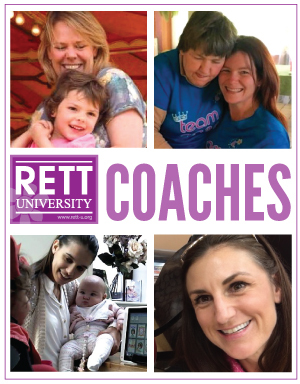 I’m receiving hundreds of emails, texts and messages from around the globe about how our Rett University courses, flip books and Rett U Live! sessions are making a true impact at home and in the classroom! As we all gear up for back to school, it’s time to put those IEPs into action focusing on building our kiddos communication, language and literacy skills and making sure they all have access to what they need to be successful. Lately, I’ve been fielding questions about the differences between Emergent Literacy and Conventional Literacy, so let’s take a look at it. 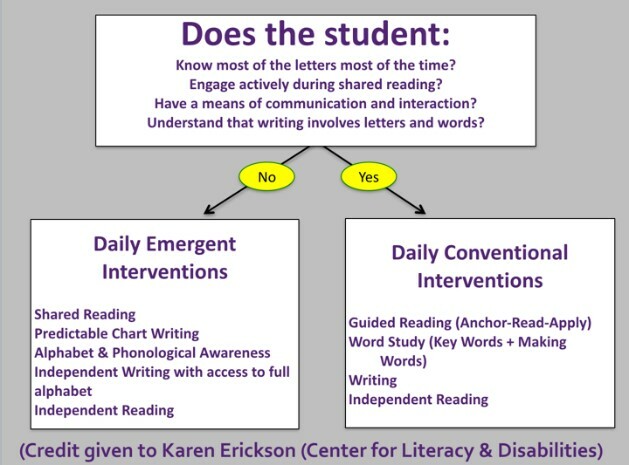 Recently, David Koppenhaver (Appalachian State University) and Karen Erickson (The Center for Literacy and Disabilities) provided a great model to help everyone best understand which of our students should be learning within the Emergent Literacy Framework and which would be considered Conventional Readers working within the Balanced Literacy Model (Guided Reading). There is a difference and knowing where to start is key. This is exciting for our youngest learners all the way up to our older learners who have not had the benefit of recent developments in education and technology for complex learners. So it’s never too early or too late to start! 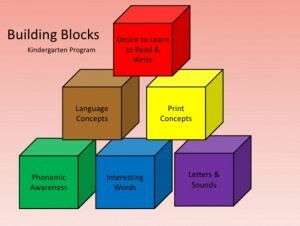 Emergent Literacy is all about developing 3 main foundational skill sets that are the pillars of a good reader: Language Skills, Phonemic Awareness and Print Awareness. In the Building Blocks Model, (as conceptualized by Patricia Cunningham and Dorothy Hall) there are 6 Blocks that together relate directly back to these 3 foundations that correlate to success in reading. 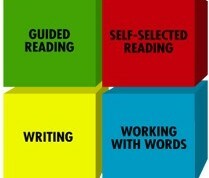 Conventional literacy is based on the 4-block Balanced Literacy Model created by Jim and Patricia Cunningham. 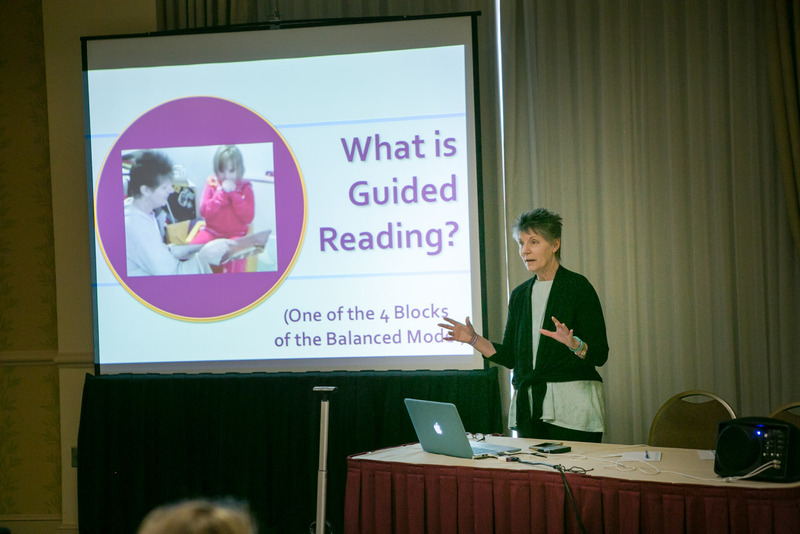 It’s foundation is based upon to effectively teach our kids and students to read and write, they must be exposed and active within each blocks which includes Guided Reading, Self-Selected Reading, Writing and Working with Words. Not one or two of them are most important because all of them are important. So, you’re probably wondering, where do we start? Start with the analysis model below and answer the questions. If you answer NO to any of the questions, start with Emergent Literacy courses (links below) and learn about real opportunities to motivate, build and encourage emergent literacy skills. 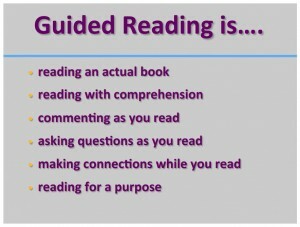 If you answer YES to all of the questions, dig into the Guided Reading courses (links below) for context and real video examples of how to get started including recommended reading, strategies, and more. OUR KIDDOS WITH RETT SYNDROME ARE SMART! When given the access they need to literacy and communication, they thrive! EXISTING MODELS THAT TEACH LITERACY ABSOLUTELY WORK! Systematic instruction and adapted access is what our students with Rett Syndrome need and IT CAN BE DONE. These models are tried and true and are present in classrooms across the globe. Our goal should always be to continually move our kiddos towards independent reading. Our courses on Rett U showcase videos of working with students so you can see these literacy models in action! EXPOSURE TO LITERACY IMMERSION IS CRITICAL! This means words in books, words within communication devices- both soft tech (Communication flip books) and high-tech like eye gaze computers. Devoting time every day to reading in the classroom is critical to building successful literacy and communication skills- both for today and the future! LEARN STRATEGIES THAT WORK! Rett U courses are filled with foundation and video examples so you “see it” happen and can then try it yourself. Engage in conversations and challenge yourself to model and demonstrate using the tools and resources our kiddos with Rett Syndrome have to use to be successful. MOST IMPORTANTLY, KEEP AT IT! All of our students with Rett Syndrome are learning receptively every single day through experience and exposure and the more we expose them to age appropriate information, books and material, the better. Communication, Reading and Writing are achievable when given the exposure and access they need. It’s up to each of US to learn the strategies and techniques that work and stay mindful of how to create access for them every single day. I know it’s not easy but worth its weight in gold. Recently, we were very excited to announce that we’ve partnered with some very talented and professional individuals who are committed to helping provide guidance, support and coaching for anyone working with individuals with Rett Syndrome! The need is ever-present and we’re ready to help how we can! To connect with one of our coaches, click here to learn more! As always, we want to hear from you! We’re here to support and help you keep moving your kiddos forward. Rett U Live! with TobiiDynavox - West Coast in July!